How to create WordPress multilingual website using free plugins? So, why not to create a multi-language website that can win the heart of your targeted readers. In this tutorial, I will teach you a simple method to fully translate your WordPress website into multilanguage using free plugins. You do not need to set up a multi-site or have separate WordPress installs for each language. You will be able to easily translate your WordPress posts, pages, tags, categories, and themes into as many languages as you like. It adds machine translation of your website contents by using google translate service. It seems to be like the easiest method but you may not want to translate your content automatically. Some of the popular free plugins are Translate WP website – Weglot Translate and Google Language Translator. You need to translate each and every content on your website manually. This may seem difficult but It maintains the quality of your webpage contents. You can do it yourself or assign this task to a professional. To accomplish this task you will need two plugins Ploylang and Loco Translate. Let’s start manual translation of a site to multilanguage. You need to follow simple steps. Login to your site and then Go to dashboard. Click on Plugins -> Add new plugin. Search, install and activate Polylang and Loco Translate plugin. To add languages to your WordPress website, navigate to Languages. Dashboard -> Languages -> Languages. From the drop-down menu, select the first language. It will be English for us. If you don’t want the English version of your website, choose another language from the drop-down. Then, click on Add new Language. 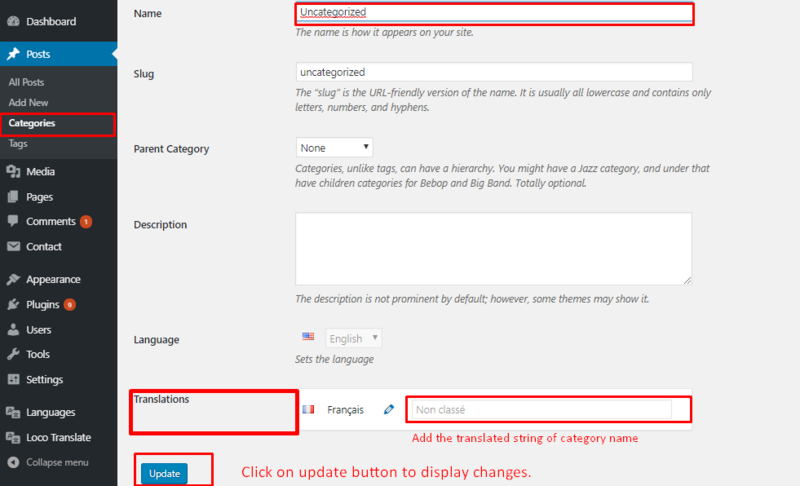 Step 3: Creating multilingual content of posts and pages. Write content for the selected language and click on publish/update button to display changes. Go to Appearance ->Menus option. Add language switcher to the primary menu. If you do not see language switcher option then make sure that it is enabled in screen option. NOTE: It is a good approach to create a different menu name for a different language. Add the translated page /post on the menu accordingly. For example, in the previous step, we have created ( Maison ) page for the French translation. Now for French menu, we will create a separate menu and then add Maison page as a replacement of home page. Select the menu location accordingly. Now your translated menu will look like this. Step 5: Translating site title, description and banner section. Go to Appearance -> Languages -> String Translation. To translate site description, Banner title, Banner subtitle, and read more text. Repeat the previous method mentioned in the above section. Now the translated banner section will look like this. Note: If you didn’t find the banner title and subtitle string in string translation then you have to go to Appearance -> Customize -> Select banner/slider type ->Select static video banner and then Update site title and description string and click on Publish button. You have to create an individual post to translate slider posts. Follow the similar approach as shown in Step 3 for every slider posts. Now the translated slider will look like. You have to create a new page to translate about page section in a different language. Click on publish button to save and display changes. Search for event widget title and then add the translated string. Click on save button to display changes. Now to translate static string like ( Date, Time, Location, Address, and Tickets ) we need Loco Translate Plugin. Go to Appearance -> loco Translate -> Themes and then select the active theme. Click on Add new language. Then choose language, location and click on start translate button. Follow a similar approach to translate Location and Address as well. 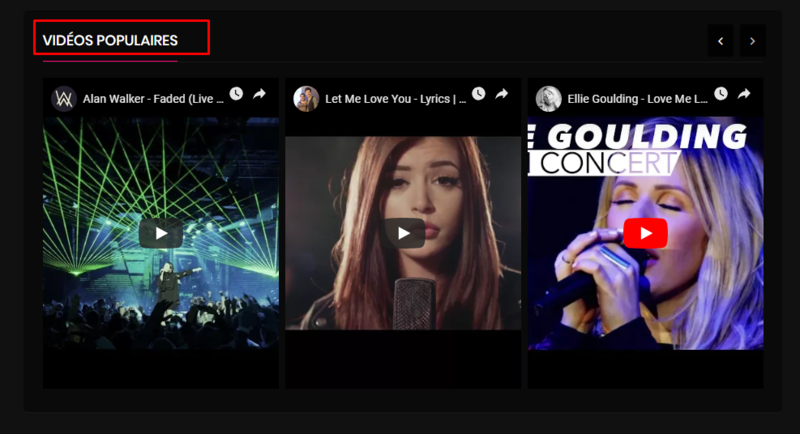 Search for video widget title and then add the translated string. Click on save button to display changes. To translate the blog section title, Go to Language -> String Translation. Now, you have to add the translated post of latest posts. Simply follow the similar method as shown in step 3. How to translate the category name? To translate category name, Go to Posts -> Categories and then click on the edit button. Note: To translate Comment Count, Go to Loco Translate option. Search for comment string and click on save button to display changes. You can modify Polylang setting via Languages -> Settings. However, if you are a beginner then we recommend you not to modify these options. You can use Surplus Concert free theme as well but most of the sections mentioned in this article are not available in the free theme. If you have any queries regarding multilingual then you can contact us via our Support Forum. Previous Previous post: How to create WordPress child theme and why is it important?